We are the prominent Manufacturer and Supplier of Superior Quality Products. Since last 19 years we have been manufacturing and supplying superior quality product to our clients with consistency in quality, efficiency and cost effectiveness, which is highly praised and appreciated by our clients across the nation. We are having a wide experience of the industry in our respective domain, which enables us to manufacture and supply superior quality array of products. 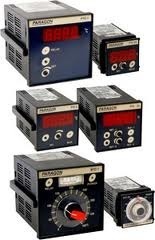 Our large array of products comprises Electronic Buzzers, Analogue Meters, Digital Meters, AC, DC, HZ, Shunts, Volt Meters, Frequency Meters, Digital Displays, Limit Switches, Panel Hooters and Moving Coils,Digital Meters & Displays,Panel Meters,Electrical Transformers. Our products are in extensive demands from our global clients for their exclusive feature like best quality, durability and cost efficiency. Our products are being used in Hospitals, Iron, Steel, Cements, Dairy, Chemicals, Petrochemical, Food & Beverages and various other industries. We have been able to carve a great image and reputation in the market for our unbeatable quality and long service life products; which enables us to keep ourselves ahead of our competitors in the domain.